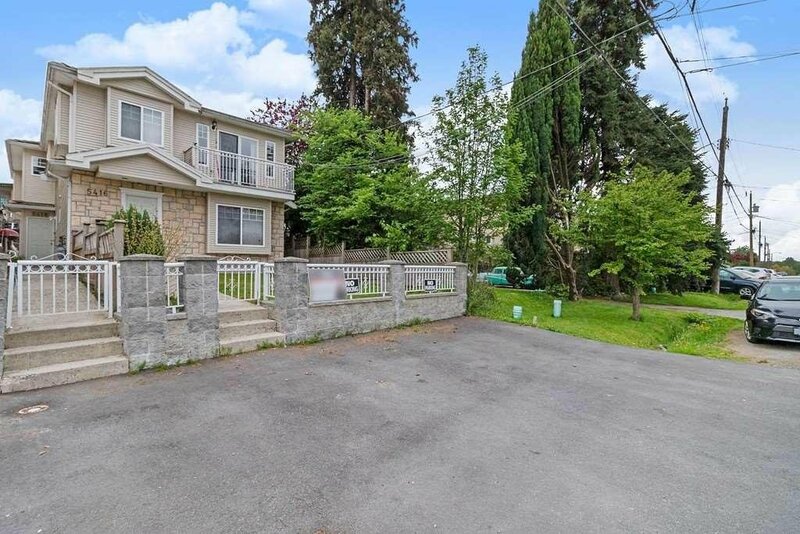 5416 Manor Street, Burnaby - 4 beds, 2 baths - For Sale | Ray (Reza) Kodabash - Team 3000 Realty Ltd.
A sweet opportunity! Well-kept front 1/2 duplex, built in 2003 on a quiet street, 2 bedrooms upstairs and 2 bedrooms downstairs, both with own full bathroom, full kitchen & separate entries. In-floor radiant heating, laundry by entrance, gas F/P upstairs, nice mountain views from above balcony. Bathroom upstairs has cheater ensuite & kitchen upstairs with S/S appliances. Concrete tile roof, nice front lawn & single garage off lane. Good tenant below if Buyer wishes to take over upstairs. Close to BCIT, transit, bus to Holdom skytrain.